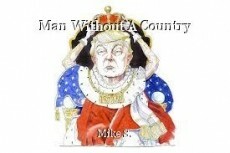 Man Without A Country, poem by Mike S.
You said it, Mike! Brilliantly put! I am loving the cover photo. Great piece, Mike. So intense !!! Well done Mike!